It doesn't get more rugged than Wrangler, and wedding bands don't get any more rugged than this Wrangler Tire Tread Ring. If you've got a guy who's a bit rough around the edges but always gets the job done, then this is the choice for you. Oh, and did we mention that this officially-licensed Goodyear wedding ring is a perfect replica of a %#@$ing Wrangler tire? 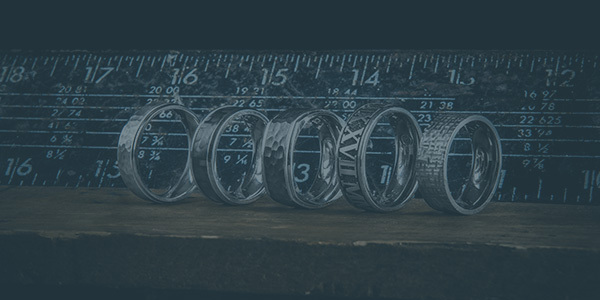 Because if you aren't as blown away by this men's tire tread ring as we were the first time we made one, then you are clearly in the wrong collection. For the rest of you, this is a 9mm-wide monster with precision 3D-carved treads that brings out every knob of the tire the whole way around the ring. Unlike the original titanium version of this ring, material used has a dark surface that captures the essence of a Wrangler tire. There's no "use your imagination" here, this ring looks like it means business, because it does. The recessed parts of the ring have a special sandblasted finish while the knobs have a satin polish to add depth and texture. We couldn't be more proud of our partnership with the world's best tire company, and out of all of the designs we've done in partnership with them, these Goodyear Wrangler Rings are probably our favorite. If you're ready to experience the power of Wrangler for yourself, then we can custom build one of these bad boys for you in any whole or half size. We can also produce this ring in 1/4 sizes or make other custom modifications upon request. Optional personalized engraving is available on the inside diameter of the band as an add-on feature. Purchase of this ring includes free ground shipping to anywhere in the USA. Please note: Because of the quality of the materials used in these men's tire rings, there is a $35 fee for any orders of a size 13 and higher. You will see this charge in your cart when you checkout. 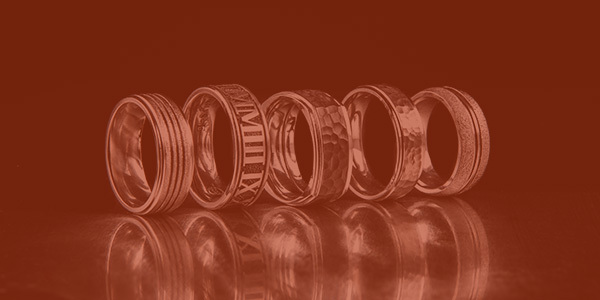 These other officially-licensed Goodyear wedding rings we mentioned? You can find all of them here, only at Titanium-Buzz.